Neve Angel’s life is all work and no play, but she wouldn’t have it any other way. One of Denver’s top sports reporters, she's fought hard to make it in a male-dominated world, and she won’t back down from a fight with anyone–not even the Hellions’ gruff head coach, Tor Gunnar. Her hostile relationship with the icy Scandinavian is the stuff of local legend. I loved this book. The dynamic between Tor and Neve is well written. Both Tor and Neve have insecurities and they each deal with those by immersing themselves in their jobs, almost exclusively. In their professions, they are unstoppable, but off the ice and off the record, each hide awkwardness by being alone. As they get to know each other outside of prying eyes, both Neve and Tor realize that this relationship is something worth fighting for. I enjoyed the first book in this series a lot, so was delighted to get this second story to review. I would suggest that reading book one would be sensible, as you get some of the background and characters fixed, but it is a great read in its own right too. There is a thread of absolutely lovely humour running through this book which had me laughing out loud quite a few times. It is not really a comedy, but Neve and Tor certainly come up with some fabulous lines, and that is not including his terrible jokes! The puns come thick and fast at one point and are perfect. It is a low drama, but highly entertaining story, with some poignant moments, some ethical issues, and some super-hot chemistry. It is a second chance at getting things right for both of these people who have closed themselves off from love for the sake of their much loved careers. Can't wait to catch up with them again in future installments. For reviews & more info, check out our Mister Hockey post. 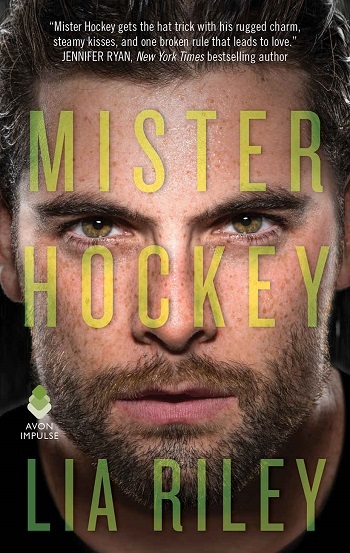 To celebrate the release of Head Coach, Avon is giving away three ebook copies of Mister Hockey by Lia Riley. 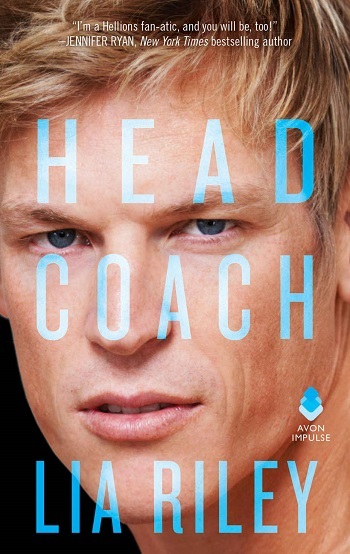 Reviewers on the Wicked Reads Review Team were provided a free copy of Head Coach (Hellions Angels #2) by Lia Riley to read and review for this tour.